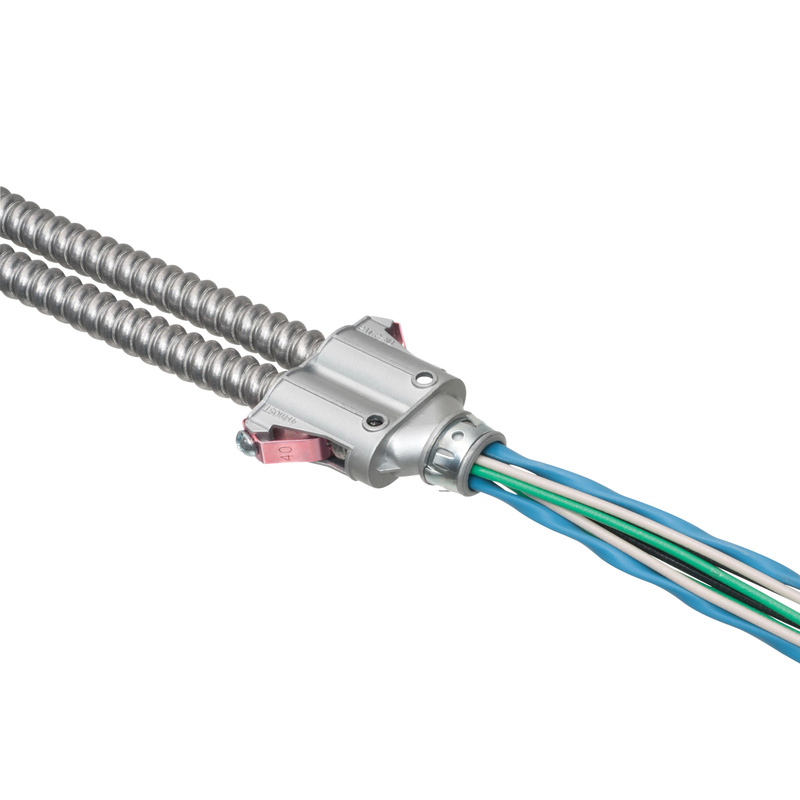 Arlington Snap2IT® Insulated throat duplex connector of trade size 3/8-Inch, is suitable for use with 1/2-Inch knockout and flexible metallic conduit. It features zinc construction and silver finish. Connector with snap-in connection, accepts two conductors of size 0.525 - 0.64-Inch. This removable/reusable connector supports easiest and super secure installation in new work or retrofit. Connector is cULus listed.